Are you a big chocolate fan and want get your skin pampered in it? 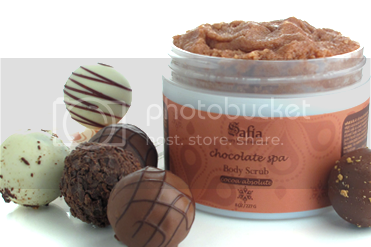 Introducing Chocolate Spa Body Scrub by Safia (for luxurious kissed skin care). This would make a nice, sweet pampering gift on Valentine's day for your loved one. She will love it! 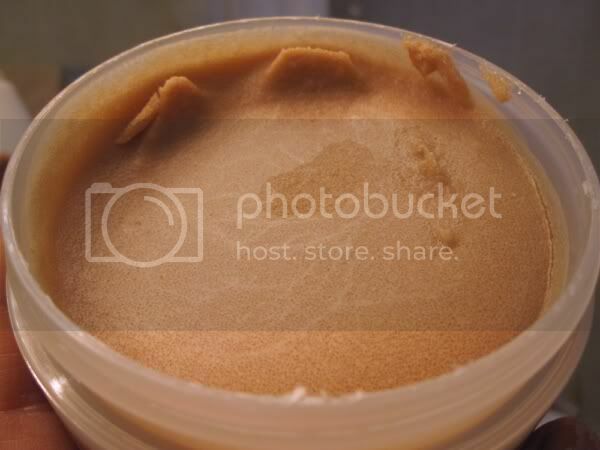 It is a body scrub (not for facial use) that helps softens and exfoliates skin. Description: It is an all natural body treat! Golden cocoa butter and virgin coconut oil moisturize as organic sugar exfoliates dead cells to unveil radiantly smoother skin. This chocolate infused body scrub is created with real organic chocolate, pure French cocoa absolute and premium vanilla for a delectably luxurious body indulgence. Golden cocoa butter and virgin coconut oil moisturize as sugar crystals exfoliate your skin to perfection. I was given the opportunity to try this Chocolate Body Scrub. To tell you the truth, I don't use body scrubs very often. Because recently I've been getting dry and rough skin as I am aging, I've been trying many different skin care products. 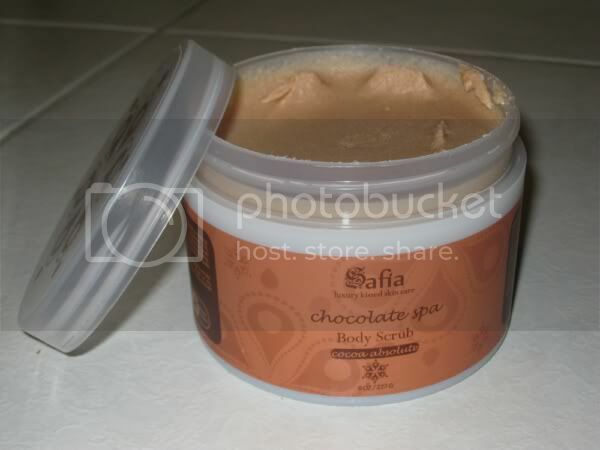 The Safia Chocolate Body Scrub was perfect for use on my feet, hands, arms, and back. I've been using the body scrub a few times a week when I shower or take a bath. It is really soothing. The color is not dark like the actual chocolate. It kind of almost look like smooth peanut butter. First of all, it smells nice (like chocolate)! I love anything sweet. I felt like I want to eat it. haha! During my use, I could feel the natural sugar exfoliants on my skin which made it looked and felt smoother after a week of use. I have yet to try out the other products from Safia. With a focus on earth''s natural ingredients, Safia's complete line is formulated with nourishing fruits and extracts, exotic clays, fortifying butters, and lush oils. Safia's products DOES NOT contain silicones, solvents, phthalates, or petroleum-by-products. Follow Safia on Twitter and/or Become a Facebook Fan to stay up-to-date about their products. Celebrate Valentine's Day with Safia! Get 30% off all of your favorite Safia products. Choose from our scrumptious sugar scrubs, delectable body lotions & oils, and our amazing sulfate-free facial care products! Pamper yourself or give them to someone you love...or both! Disclosure: I received sample products from Safia Skin Care at no charge in exchange for a review of my opinion. The opinions expressed are my own personal and honest thoughts. No other compensation was given.